Every year, MWC or Mobile World Congress brings us the year’s top smartphones, smartwatches and more. The tradeshow organised by GSMA in Barcelona is thus an exciting affair and Digit will be there to bring you exclusive coverage. Like every year, most of the action happens on the sidelines of the showfloor, usually a day before the event formally kicks off. We also get a taste of the emerging trend of the year at the event, and this year, the concurrent theme will be 5G and the infrastructure around it. Every big smartphone brand have a presence at the tradeshow in one way or another. While Samsung, Nokia and the likes unveil their flagship phones, brands like Xiaomi, OnePlus and the others too have booths showcasing their lineup of technology. The only exception is Apple. The Cupertino giant doesn’t have a direct presence at the event, but there will be a lot of Apple-related news coming out of the event as well. 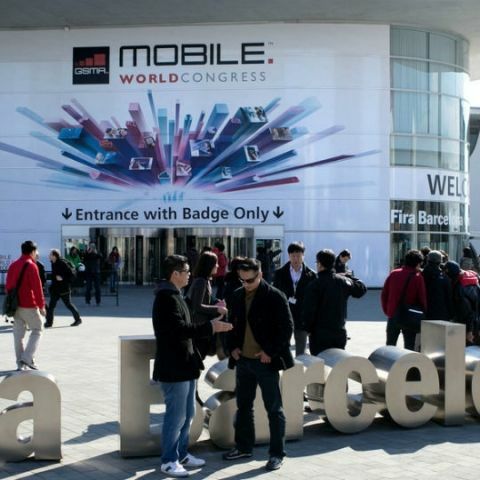 Multiple leaks, rumours and official information has given us an idea as to what to expect at MWC this year. Here’s all the smartphones that are going to launch at the event. Ever since it rebirth two years ago, Nokia has used the centerstage at MWC to announce a bevy of smartphones every year. This year, Nokia has an event scheduled on February 24th, a day before MWC formally begins. It’s expected to announce the flagship Nokia 9 PureView, the phone that has been leaked multiple times over the past year. The phone is expected to sport five cameras on the back. The Finnish brand is also expected to announce the successors to its mid-range and high-end phones, the Nokia 6.2, which was leaked showing a 6.2-inch punch hole display and up to 6GB of RAM. MWC 2018 might not have been big for LG, but the Korean brand is geared to come back big this year. The company’s launch event is scheduled for February 24th with the tag line “Goodbye Touch”. The company’s flagship for this year will be called LG G8 ThinQ which is reportedly powered by the Snapdragon 855 flagship SoC. LG has reportedly confirmed that it will launch an attachable display, along with the LG G8 ThinQ and V50 ThinQ smartphones at MWC. Additionally, the V-series smartphones will be the premium 5G model, and the G-series will now be the flagship LTE brand. We can expect to see a triple camera setup on the back of the two phones. Sony has an event scheduled for February 25th at the showfloor in Fira Gran Via where the company is expected to take the wraps off the Sony Xperia XZ4. Leaked renders of the phone suggests a 4K display, and a large-sensor cameras. As per new reports, the Sony Xperia XA3 and Xperia XA3 Ultra might also be unveiled at the MWC 2019. Both phones are said to feature Sony’s CinemaWide display and could come equipped with a 5.9-inch and a 6.5-inch panel. Oppo has confirmed that it will demonstrate its 10X hybrid zoom technology at MWC 2019. The event is slated for February 23, two days before MWC formally begins. The new tech uses a triple-camera setup that is likely to give better results than the 5X zoom the company demonstrated at MWC back in 2017. Apart from this, Oppo is expected to show off the new in-display fingerprint scanner that it showed off in China recently. The sensor is 15 times bigger than all other solutions available and is said to recognise two fingerprints at the same time, for added security. Furthermore, a foldable phone is also rumoured to be showcased by Oppo at the show. The company has confirmed its working on a device with a foldable display that might be announced at the event, but we don’t know for sure. Huawei too has a press event scheduled for February 24. Rumours suggest Huawei will announce a 5G-enabled foldable phone in the event, as the invite has a V-shaped display and the phrase “Connecting the Future”. Richard Yu even announced that the phone will launch at MWC. While the information about the specs are unclear, it is expected to come with the Kirin 980 chipset and Huawei’s Balong 5000 5G modem integrated. Motorola recently announced the Moto G7 lineup in Brazil and the phones are expected to be on display at the company’s booth in the show floor. There’s also rumours about the company planning to revive the iconic Moto RAZR. Details about the phone are scarce at the moment, but as recent achievements by Nokia might suggest, revisiting retro design does get you a lot of coverage. XIaomi has been swiftly increasing its presence outside China. The company launched the Mi A2 in Spain, and couple of years back, it even launch the flagship Mi 4 at MWC. This year, the company has an event scheduled on February 24, a day before MWC begins. Rumours suggest we could see a 5G variant of the Xiaomi Mi Mix 3. Huawei’s sub-brand recently announced the Honor View 40 with a punch-hole display and a 48MP camera on the back. While it does have a presence at MWC every year, reports this year have been scarce.